KEEP THE WEIGHT OFF! Learn more about Phase 3 of the HCG Diet! In the articles below, you will find all the information you need to know about the maintenance phase (also known as Phase 3, P3, or stabilization). Simply click and start learning. If you have any further questions about this (or any other) phase of the HCG Diet, and you cannot find the answers... please feel free to contact us. 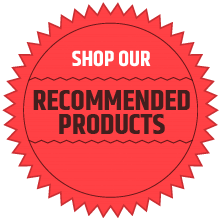 Please click HERE to discover the great products that we carry! Spray skillet with Pam cooking spray and heat to med-high. Add green onions and cook until it begins to wilt (1-2 minutes). Meanwhile, whisk egg whites with a teaspoon of water and salt & pepper. Add the chopped asparagus spears and stir. Add the egg whites and turn heat to low. Gently stir your mixture and add the cheese. Cook for about 2 minutes. Top with green part of the green onion. In a bowl, combine chicken, salsa, cumin, chili powder, and cilantro. Scoop mixture into lettuce leaves for taco-style dining. Drizzle the finished product over chicken or fish (either grilled, baked, or broiled). Makes 4 servings. Great as a dressing on a spinach salad with tomatoes, cucumber, avocados, etc; or as a marinade for chicken. Mix all ingredients together. Makes about 8 servings. Arrange pear slices in a small oven-safe dish, toss in blueberries, cinnamon and stevia. Top with nuts and coconut. Bake at 350 for 10-15 minutes. Serve hot. Recipe Notes: You can also speed up time by making this dish in the microwave for 2½ minutes on high. Consistency will be quite thick and sticky to begin, but you may continue to whip and add more water until it reaches a consistency of your liking. View the rest of our HCG Phase 3 recipes (with pictures) here. Want a quick refresher of the HCG Diet? The below video not only sums up the diet, but features great tips on maintaining your weight. Take a look!